What a lot of guys don't realize is that you don't need to break the bank to look good. Skeptical? Read on, my friend. Today I'm going to help you gents up your style game without breaking the bank. I'm sharing 15 men's fashion tips that'll keep you stylish for $15 or less. Most shirts and jackets come with plastic buttons that are muted against the fabric. Not only are they low-quality, but they don't do anything to make your outfit pop. Fortunately, there's an easy fix. Click here to learn how to sew on a button easily. That's why my first men's fashion tip to you guys is to invest in some new buttons for your favorite garments. My suggestion? try going with some made from Mother of Pearl in lighter colors. This is going to be a better quality of material and add a pop of color to your wardrobe. Would you gentlemen believe me if I said shaving cream could have explosives in it? believe it. More and more shaving cream brands are including propane in their products. Guys, save it for the barbeque. Need me to elaborate? Check out 7 tips for achieving a great shave at home. How do you fix this? Just look for a shaving cream that has no propellants in it. The simpler it is, the better it is. That's why I recommend shaving soap. It's made of very simple ingredients that put emphasis on oils. These allow the razor to glide up and down on your face with ease. You want a nice, clean shave – not explosives on your face. It'll cost you close to $15, but it's worth it. You'll want something that's going to keep those nicks from getting infected. A decent After Shave will be inexpensive and keep your skin feeling great. Men with sensitive skin might even want something that'll moisturize and keep you feeling good after you've scraped away that first layer. Also known as the hemostatic pencil, this is going to stop you from bleeding after you shave. All you need to do is rub it gently against the cut and watch it work. The pencil will seal those cuts and keep you from looking like a mummy after using tissues. Gents, this is a product that only costs a few bucks, and it sure beats putting bits of tissue all over yourself. This men's fashion tip goes out especially to the tall and hairy men out there. You're with a girl, she looks up at you, and all she sees are nose hairs going in all directions. Need help finding one? 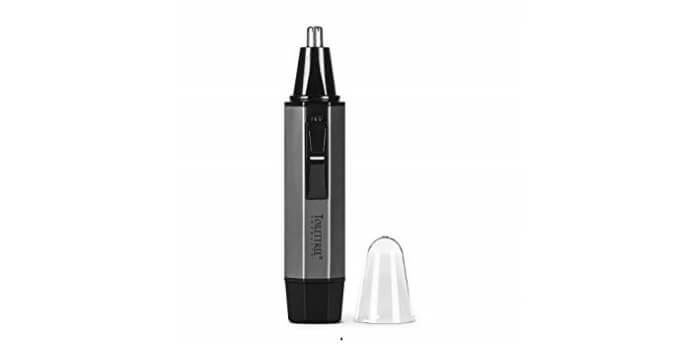 click here to learn about the top ten nose trimmers. Gentlemen, a nose trimmer will run you no more than a few bucks. They'll even come in a set along with a hair trimmer in many cases. Make a habit out of trimming those nostrils down every couple of days. Even if your brushing game is flawless, bad breath might still be a problem. You'll want to get a tongue brush to nip that in the bud. Click here to learn about some big mistakes men make when brushing – and how to avoid them. Why? bristles on a regular toothbrush are too soft to do the job. You need something thicker, something specifically designed to go back there and get the job done. Combine that with a few sips of water and you'll never have to worry! There are hundreds of men's underarm deodorants out there, but which one is best? Gents, that all depends on you and your body type. Take the time to find the right deodorant for your body. My men's fashion tip to you guys about this is to spend a little closer to $10-$15 and find something that works for you. Maybe you prefer a dryer solution that doesn't make your hairs stick, maybe you want something with no aluminum so your pores don't get clogged. With so many options out there, it's up to you gentlemen to pay attention to your purchases and decide what makes you smell and feel great. The best way to upgrade your hair game? buy multiple hair brushes. It's a great and inexpensive way to add some more versatility to your look. Click here to check out this ultimate men's guide to hair brushes. Different brushes will execute different looks. A paddle brush is going to press your hair down, making for a sleeker look. A round brush is great for adding a bit of volume, especially if you curl your hair against a blow dryer. A comb is a great, portable tool to keep your hair in line while adding a bit of body. Interchangeability doesn't only apply to your clothing. Use these tools to have your hair match the occasion. Staying with versatility in hair, gentlemen, I want to recommend that you use different kinds of hair products. Most quality products will run you less than $15 and range from putties to pomades. Putties will give you a more matte finish – leaving hold and no shine. Pomades give you hold but add some shine to your hair. Don't feel limited to one product. Saving money means you can mix and match. There are countless products out there with varying degrees of each, so this men's fashion tip is all about trying until you find your signature look. A suit brush is something most guys don't have in their arsenal, and that's a mistake. You aren't going to wash garments like blazers and sport coats as frequently as other clothing, but it's still essential to keep them clean. Need help brushing? Click here to see a step-by-step guide on how to brush your suit. Why? as you go through the day, food particles and other harmful compounds will stick on the garment without your knowledge. These attract bacteria, which eventually eat through the garment itself. Avoid this problem altogether by giving your jackets and trousers a quick brush after each wear. Say you bought a sweater you love and wore it a few times. You might notice fuzzy material that shows up on the surface. That's called pilling. Fortunately, there are several cost-effective ways to deal with pilling. The cheapest option is passing a disposable razor over the sweater. If you spend a few bucks, though, you can get a sweater stone which is designed just for that. The most effective tool is a sweater shaver, which works like an electric shaver. It'll cost you closer to $15, but it does a great job of going over your sweater and cleaning it up. Pilling doesn't have to be a hassle when you have the right tools. This one's a no-brainer. Magnetic money clips are a stylish way to keep your cash on hand. They tend to run for about $15, but there are plenty of simpler metal clips that you can get for just a few bucks. Click here to learn about what to look for when shopping for your first money clip and wallet. Not only will you know where your money is, but you'll look good pulling it out. Your business cards represent you. You want them to be crisp and clean, right? Sure, you can find hundreds of cardholders that'll run you well over $15, but you can find good ones for $10 all the same. Your business cards should be a big priority – don't let them crumple in your pockets. Are you gents ready for a men's fashion tip that'll make you a hero? Say you're out with your friends and it happens – someone spills a drink on their trousers. This is your chance to come in and save the day by keeping some stain remover in your pocket. A pack of 12 wipes should cost no more than $4. My personal favorite is the Shout Wipe & Go. These wipes will only set you back a few bucks and you can pull them right out and apply them to the clothes. Delicate clothing might require some additional cleaning, but at least you'll never worry about a stain. It's always great to see men's fashion tips that are functional, stylish, and inexpensive. The tie clip hits all the marks. A tie clip is built to keep your tie secure. This is handy when you're doing things like eating and don't want your tie to get in your plate. It's also a stylish accessory that gives your outfit a nice pop. Need some tips on how to use the tie clip? click here for the essential guide. You can definitely find tie clips for over $15, but there are plenty of respectable options out there for well under that price point. Certain online vendors even offer sets of five for $12. This one's a little out of left field, but the tactical pen is great for several reasons. It's made of metal which makes it a hardy tool. Not only does it act like a regular pen, but it can double as a knife in case you're in a tight spot and need to take care of business. They vary widely in price, but you can definitely find a good one in the $10-$15 range. 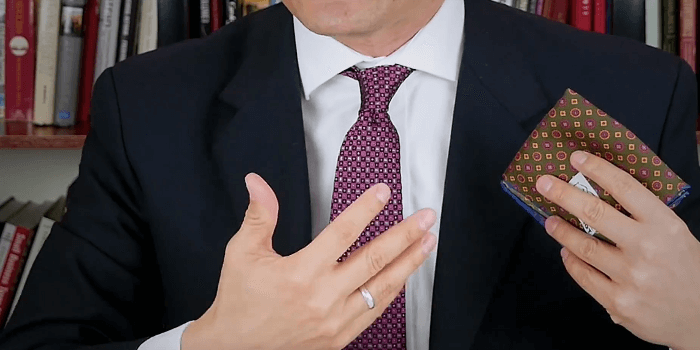 The pocket square is a men's fashion tip I've discussed a few times. They can definitely exceed $15 by quite a margin, but most cotton pocket squares won't go beyond that range – even patterned ones. Click here to learn a little more about how a pocket square can upgrade your look. I highly recommend them because they're a great way to enhance your outfit. The folds and colors you can play with also offer hundreds of possibilities. Gents, here's another easy buy. If you're not willing to spend a lot on polish but still want your shoes to look great, then hunt down some neutral polish. Click here to learn how to give your shoes the shine they deserve. This kind of polish will work on any colored shoe – be it black, dark brown, or light brown. It's a great way to simplify your shoe routine with minimal costs. Just don't use it on suede. That's an entirely different process! Take a look at your shoes. Are the laces vibrant, or are they old and worn out? Maybe you're just not a fan of the color contrast. New shoelaces are a great way to change up your look. In any case, gentlemen, make sure to keep an eye on those laces so you know when it's time to get some new ones. Whether they be sneaker laces or dress shoelaces, you're guaranteed to find them at a low price. The simple fact is that no man wants to spend crazy money if he can help it. There are plenty of tools out there that can take a man's style to the next level without smashing his wallet. These men's fashion tips were just a few ways you can maximize your investment.